A-HOTEL.com - Luxury and cheap accommodation in Karachayevsk, Russia. Prices and hotel, apartment booking in Karachayevsk and surrounding. 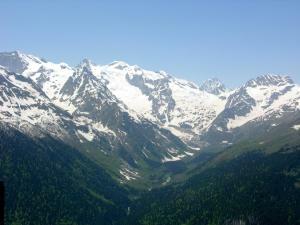 Featuring free WiFi, Baza otdyha Kishkiet is set in Khasaut-Grecheskoye. With a terrace, the property also features a bar. Located in Zelenchukskaya, Apartment Pobeda 260 features accommodation with a balcony and free WiFi. Guests staying at this apartment have access to a fully equipped kitchen. Situated in Zelenchukskaya, Apartment Leonova 154 provides accommodation with a balcony and free WiFi. Guests staying at this apartment have access to a fully equipped kitchen. House Near the River on Khubieva is located in Khusy-Kardonik. Guests staying at this holiday home have access to a fully equipped kitchen. 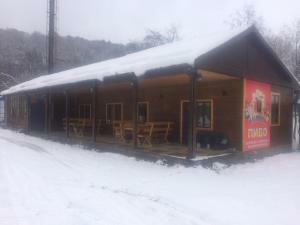 Гостиница "Зеленчук" is offering accommodation in Zelenchukskaya. The accommodation features a 24-hour front desk as well as free WiFi. Apartment Khatueva 4 offers accommodation in Dausuz. Free private parking is available on site. Set in Nizhnyaya Yermolovka, Форелевое features barbecue facilities, terrace and free WiFi. Guests can make use of a bar. Located in Teberda, Yetihouse features a private beach area and seasonal outdoor swimming pool. Featuring a shared lounge, this property also provides guests with a children's playground. Offering free WiFi and mountain views, Apartment Mikrorayon 12 is an accommodation set in Teberda. The accommodation is 26 km from Dombay. Set in Teberda in the Karachay-Cherkessia Region, 22 km from Dombay, Guest House Solnechny features a ski school and ski storage space. Free private parking is available on site. Dom u Gornoy Reki is offering accommodation in Teberda. With an outdoor swimming pool, the property also has barbecue facilities, as well as a terrace. Set in Teberda, Zolotoe Runo Guesthouse offers barbecue facilities. Among the various facilities are a terrace and a shared lounge. Situated in Teberda, Guest House Phoenix features a garden and a shared lounge. Featuring a tour desk, this property also provides guests with a restaurant. Лодж features a terrace, as well as accommodation with a kitchenette in Teberda. Some units have a balcony and/or a patio with mountain or river views. Located in Teberda, Hotel in Teberda provides free WiFi. The accommodation offers a 24-hour front desk. Located in Teberda, Guest House Hizhina features barbecue facilities and free WiFi. Among the various facilities are a garden and ski storage space. Set in Teberda, Guest House Teberda-Dombay offers free WiFi. Staff on site can arrange airport transfers. Situated in Teberda, Sanatoriy Narat offers free WiFi. Boasting a tour desk, this property also provides guests with a barbecue. Set in Teberda, 19 km from Dombay, Guest house y reki boasts a barbecue and views of the mountain and river. Free private parking is available on site. Guest House Balham features barbecue facilities and a terrace in Teberda. All rooms boast a kitchen, a flat-screen TV with satellite channels, and a private bathroom.